Democracy for New Mexico is one of twelve blogs (see below fold) from around the country chosen to help launch the group Politics Blue on Zannel, a new and exciting vlogging service you can access via your cell phone or computer. 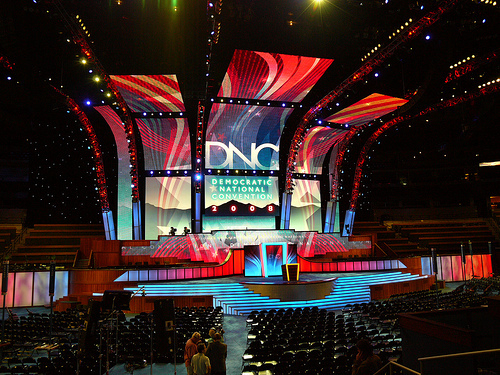 All the blogs on the Politics Blue channel at Zannel are members of the DNC State Blogger Corps and, like DFNM, have credentials to be seated with their state delegations on the floor of the Pepsi Center in Denver next Monday thru Wednesday, and on the field at Mile High Stadium on Saturday for Obama's acceptance speech. 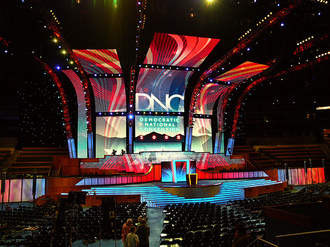 Mary Ellen and I will be using Zannel to post video clips, photos and short text messages from the 2008 Democratic Convention. The DFNM blog has its own channel within Politics Blue, as do all the other blogs. We've installed a widget at the top of the main DFNM page where you can quickly access our latest uploads. (To see it you must be at www.DemocracyForNewMexico.com, not one of our subpages.) There are arrows you can use to move from upload to upload. Our material will also be shared on the aggregated Politics Blue group channel on Zannel. Right now, we've just got test-type material uploaded to Zannel, but soon we'll be putting up the real deal. Check back often. Of course we'll also be posting longer pieces right here, and you can also check out our stuff on Rootswire (widget on left sidebar). We also understand that C-SPAN's Convention Hub, the DNC's Convention website and other sites will be aggregating State Blogger Corps posts. Visit the links on the left sidebar for those sites, plus our Convention videos on YouTube and photos at Flickr and more. 1/28:ABQ Sprout DinnerSouth Valley Multipurpose Senior Center,2008 Larrazolo Rd SW in Albuquerque; 6 to 9pm.